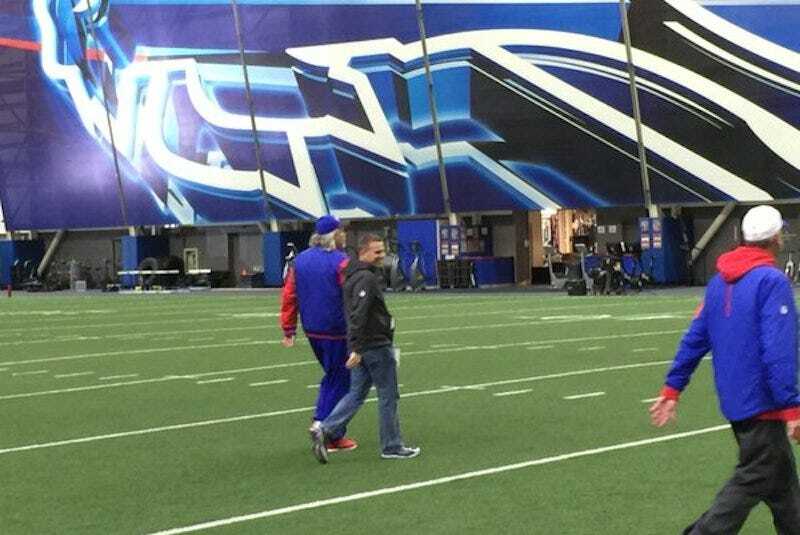 While former Saints defensive coordinator Rob Ryan is between jobs, he was seen at today’s practice for the Buffalo Bills, the team coached by his twin brother Rex. Rob was decked out in team apparel as he took in the sights. Even if it isn’t permanent, let’s enjoy every minute. Update (3:26 p.m.): An email to the Bills confirms Breer’s report.